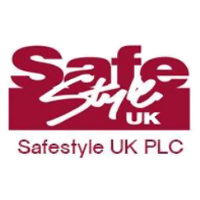 The trading price for Safestyle UK PLC with ticker code: LON:SFE has increased 5.49% or 4.5 points during today’s session so far. Buyers have so far held a positive outlook while the stock has been in play. The period high has peaked at 87 meanwhile the session low reached 86. Volume total for shares traded at this point reached 142,535 with the daily average traded share volume around 224,535. The 52 week high is 164.8 which comes in at 82.8 points difference from the previous days close and the 52 week low at 30.8 a difference of some 51.2 points. Safestyle UK PLC now has a 20 moving average of 90.1 and now a 50 day moving average at 87.35. Market capitalisation for the company is £71.61m at the time of this report. The currency for this stock is Great British pence.Market cap is measured in GBP. This article was written with the last trade for Safestyle UK PLC being recorded at Friday, January 25, 2019 at 11:40:53 AM GMT with the stock price trading at 86.5 GBX. Stock in MONDI/PAR VTG FPD 0.2 with EPIC code: LON:MNDI has stepped up 1.55% or 28 points throughout today’s trading session so far. Investors are a positive bunch during the session. The periods high has already touched 1838.5 dropping as low as 1813. The number of shares traded by this point in time totalled 593,194 with the daily average at 1,840,163. The 52 week high for the shares is 2250 amounting to 442.5 points different to the previous business close and a 52 week low sitting at 1557.5 is a variance of 250 points. MONDI/PAR VTG FPD 0.2 now has a 20 SMA at 1758.24 and the 50 day SMA of 1734.33. The current market cap is £8,882.25m at the time of this report. All share prices mentioned for this stock are traded in GBX. Mcap is measured in GBP. 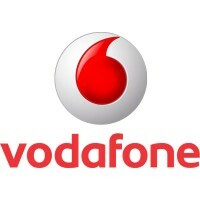 This article was written with the last trade for MONDI/PAR VTG FPD 0.2 being recorded at Friday, January 25, 2019 at 11:59:21 AM GMT with the stock price trading at 1835.5 GBX. Stock in NMC Health PLC with EPIC code: LON:NMC has gained 1.27% or 34 points during today’s session so far. Traders have remained optimistic throughout the session. Range high for the period so far is 2702 and a low of 2664. The total volume of shares exchanged through this period comes to 100,753 whilst the average number of shares exchanged is 803,018. The stock 52 week high is 4376 which is 1708 points in difference on the previous days close and a 52 week low being 2508 making a difference of 160 points. NMC Health PLC has a 20 SMA of 2814.84 and now the 50 day moving average at 3098.98. The market capitalisation is now £5,625.85m at the time of this report. The stock is traded in GBX. Mcap is measured in GBP. This article was written with the last trade for NMC Health PLC being recorded at Friday, January 25, 2019 at 11:55:26 AM GMT with the stock price trading at 2702 GBX. The trading price for Rio Tinto plc with ticker code: LON:RIO has risen 1.51% or 57 points during the course of today’s session so far. Buyers have stayed positive during this period. The high for the period has reached 3841 and hitting a low of 3775.5. Volume total for shares traded during this period was 991,606 whilst the average number of shares exchanged is 4,000,206. The stock 52 week high is 4541 which comes in at 776 points difference from the previous days close and putting the 52 week low at 3460 a difference of some 305 points. Rio Tinto plc has a 20 SMA of 3868.05 and now the 50 day moving average now of 3796.81. This puts the market capitalisation now at £48,640.56m at the time of this report. Share price is traded in GBX. Mcap is measured in GBP. This article was written with the last trade for Rio Tinto plc being recorded at Friday, January 25, 2019 at 11:59:58 AM GMT with the stock price trading at 3822 GBX. Click MNDI NMC RB RIO SFE for the full archive.